The pool will straddle two parts of an apartment block in South London. 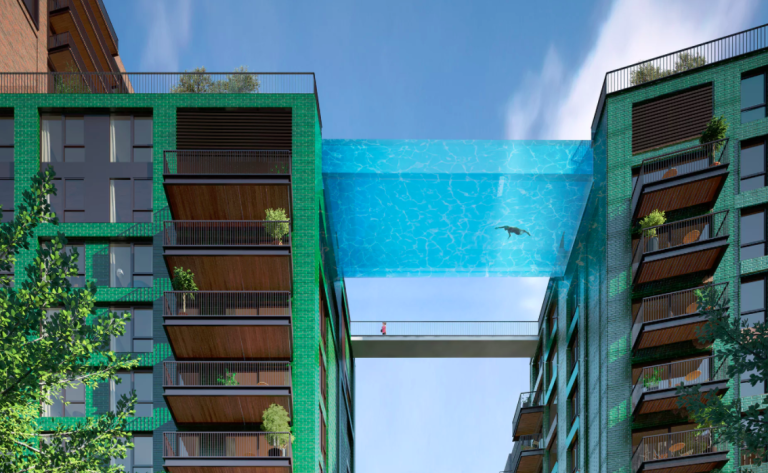 If a dip in a high-rise swimming pool suspended 10 storys up is what you're after, London's latest planned addition to the skyline could be just the thing for you - after this new development confirmed a 25-metre swimming pool suspended between two apartment blocks. 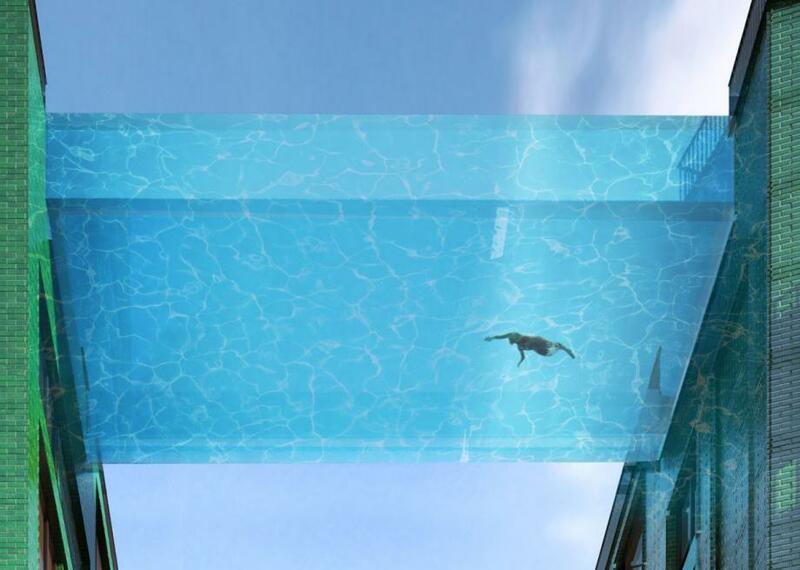 The developers say the transparent 'sky pool' will be the first of its kind in the world, giving swimmers the ability to look 35 metres down to the world below, with only 20cm of glass between them and the outside world. It's giving us vertigo even thinking about it. 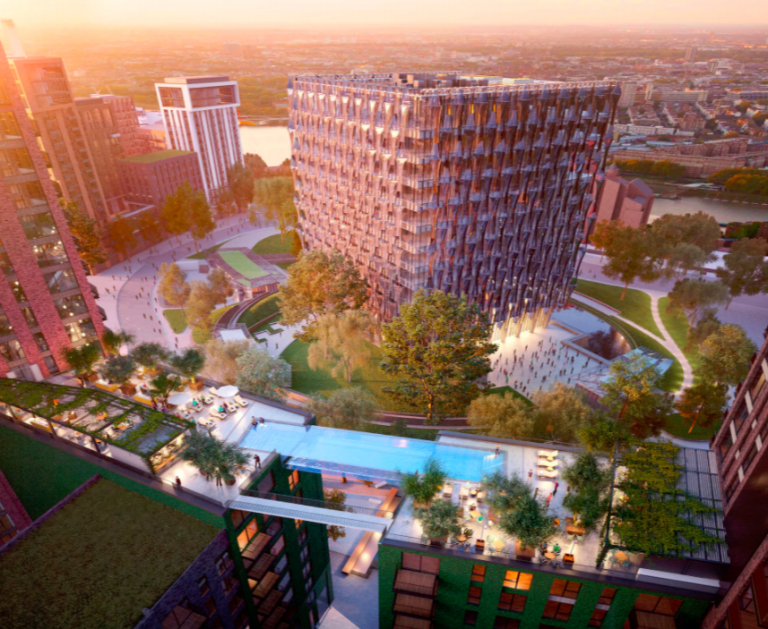 The pool is part of the Embassy Gardens development at Nine Elms, which aims to create 'thousands of homes', many of them luxury apartment blocks, with access to a sky deck, a spa, summer bar and orangery with views of the Houses of Parliament. Sound up your street? Flats cost upwards of $950,000. So there's that. "My vision for the sky pool stemmed from a desire to push the boundaries in the capability of construction and engineering, I wanted to do something that had never been done before. The experience of the pool will be truly unique, it will feel like floating through the air in central London." For $950k+ , you'd hope so. This article was originally written by Dusty Baxter-Wright and appeared here.